Would you like to know how to grow a Facebook group? In this video, you’ll learn what to do in order to make your Facebook group go bigger and bigger. So, try these three tips and start growing your community on your Facebook Group. 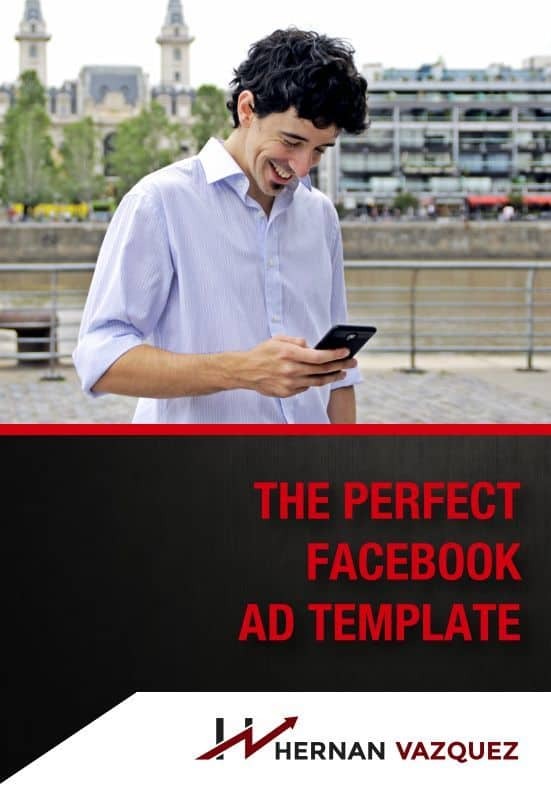 Also learn Best Campaigns For Facebook Ads. Hey, everybody, what's up? Hernan Vazquez here. So we're live and we're going to go live in a minute on the Facebook groups. I think that we should be live on the on the on the on the YouTube let me actually double check. That's the case. What's up guys are you guys you guys are super well yeah we're live here so let me share this on the Facebook group if you guys are not part of the Facebook group you're more welcome more than welcome to join join me at hernanvazquez.com slash Facebook or if you go to Facebook and you type in digital marketing strategies for entrepreneurs should be able to find it. And we'll go and live on the Instagrams and we're going live on the YouTube send the Facebook's at the same time so I hope nothing blows up and funny enough I had a question yesterday on You know our Facebook group still a thing, right? And should you focus on growing one and if so why? And what happens when you're trying to foster a lot of engagement on a Facebook group now I want to give you guys a couple of pointers and a couple of tips when it comes to Facebook groups in 2018 and what you need to have in mind in order to grow your Facebook group if you so choose in 2019. And so there's these specific way of growing a Facebook group and I'm not by any means an expert, I just, you know, kind of manage a community of 3000 I think it's like almost 4000 people right now. And you know, Facebook groups used to have a lot of engagement and a lot of reach when it came to you know, whenever you post every member would see it remember the it was the case where Facebook pages as well but now it's not the case anymore, right? Because Facebook has become more and more I paid to play space now Facebook groups are still very much relevant in my opinion because of the fact that they will allow you to kind of foster our community. So if you think about it you're fostering community you're giving people space to you know receive advice a lot of people come and join my facebook group it's completely free and they get advice for free from myself and from other members too but it's not the end all be all it needs to be part of your strategy. So for instance, what I do on my Facebook group is I go live I'm going like pretty much every day right I'm going live on youtube and facebook and instagram now and whatnot Instagram and not that consistent but I'm trying to get more consistent because I cannot share my screen and Instagram so um, so the reality is that a lot of people come and join the free Facebook group and I will share my videos on Facebook. Because on the Facebook group because of the fact that I want you to know, I want to generate that engagement there and the videos are, you know, generally well received on the Facebook group, but the reality is that you need to work hard To keep the engagement up in your Facebook groups, engagement is the name of the game. Why? Because of the fact that there are two things that will happen as with anything in Facebook every time on Instagram to every time you post something and people are engaged and you know, Facebook will show more of that stuff to the people that have engaged with your with your page or your group. So that's the case when your group if you keep people engaged, commenting, liking watching videos within the Facebook group, there's a high chance that Facebook will show more of that Facebook group to those people timelines, you know what I'm saying? So that is number one, but also number two. What you need to have in mind is that when you have a really engaged group, Facebook will start showing that group on the Facebook search. And Facebook is also search engine, a search engine, you know, so for instance, my group which is called Digital Marketing Strategies for entrepreneurs. It has a keyword rich title right. That is something that you want to have in the title the title of the group you want to have a keyword rich based on you know how you want to be found on the group and then the more engagement that you have in that group the more you will start showing up on the search so for instance we have a lot of people that come from the Facebook group that come from search right from searching actually digital marketing strategies or digital marketing or marketing strategies and whatnot on the Facebook search bar right so that is and that is based on number one keywords on the title and number two engagement if you don't have a lot of engagement your Facebook group will not show up. Now Facebook groups are also great way of generating leads because Facebook groups are from Facebook they do not belong to you I do not own my facebook group I you know it's like I kind of manage it if you want a moderated but they're great way of generating leads. So every time somebody applies to join a group, we asked three questions. Two of them are mandatory. One of them is not. And last one of them is, hey, do you want to get tips in your email? And we send them, you know, we asked them to put their email and then we grab that, and we put that into your autoresponder. All right, and the first two questions are basically to see what kind of help people get need. And most of the help that they need, conversely, comes from Facebook needs, right. So that's why I'm talking about Facebook so much on these type of of lives and whatnot, because a lot of people in the Facebook group kind of need facebook, facebook help. So that is something that you need to have in mind. It's hard work. I mean, you can outsource it. You can hire a VA, you can set up the processes but it's still hard work and it will become harder because you know, there are more and more Facebook groups but also Facebook is becoming a pay to play space. But if you think that it's a great way to foster a really good relationship with your community is a great way to test ideas before you launch a product or an ad. Right now I'm using the face group in terms of, you know, testing a product or an ad before going out there and launching the ad itself. So see if it has a little engagement, I know that that's going to be a good ad. So it's just launch it and then, you know, it's a good way of generating testimonials for your products. You know, it's a good way of fostering a community is not as big deal like, it doesn't have that big of a reach as he used to have and that's completely fine. That's what you need to be combining organic stuff with advertising, which is pretty cool, right? What I've been talking about guys for a little bit. Anyways, if you want to join my group, again, go to https://www.hernanVazquez.com/Facebook, you should be able to join please complete the questions because you know, otherwise you won't be accepted at least the two mandatory ones there are two there are mandatory and one there is optional. You don't need to leave your email if you don't want to. If you do, you're going to get amazing stuff on the email. But if you don't want to just don't do it, you know, just leave it blank. But if you don't complete the other questions, we get a lot of spam requests. You know, request from bots. So the reality is that we use those questions to filter out people. And we know that people that complete that take, like 30 seconds or 15 seconds or five seconds to complete those questions, they're engaged, and they're going to participate on the group. Right guys. So I hope this helps. 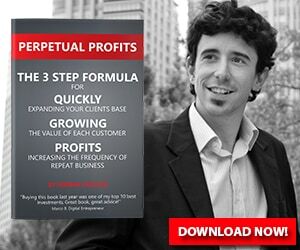 And again, if you want to know a lot of other legal strategies, because it's just part one part of what I've been talking about, and you know, on the book, perpetual profits, get it get a copy, go to perpetual profit. Stop, man, I'm going to type it in on Instagram. Sorry, guys, give me a second right perpetual man, this is hard to petrol profits.net. There we go. Boom. Alright, so if you go there, and you should be able to get a copy of my book, it's $5. 60 cents pretty inexpensive, and it's packed good information and whatnot. So go ahead and get a copy of the book. It's pretty awesome. A lot of people are raving about and they're loving it. So thank you guys for your support and whatnot. I'll see you on the next lecture. Bye bye.